Every single day writers, editors and musicians create original works of art and authorship too express their unique ideas. These original works are protected the moment they are created and fixed in a tangible format. So, Copyright Registration copyright registration. Without a registered copyright with the U.S. Copyright Office, you have little to no chance of even bringing a lawsuit, let alone winning your case. And even if you could sue, it would cost you a fortune to prove that the copyrighted work in question is, in fact, yours and valid. Whether you are initiating a copyright infringement lawsuit or defending one, if your work is unprotected (not registered), you have a steeper mountain to climb. Plus, finding a lawyer who is willing to fight for you without the chance of getting paid, is even more unlikely. At least with a registered copyright, you “might” be entitled to attorneys’ fees. Copyright infringement cases truly reflect why it’s so important to take all of the necessary steps to protect what’s yours, especially if you’re a musician or author. 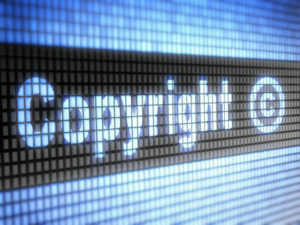 How Can a Copyright Attorney Help? Help you decide whether you should actually register your copyrighted work with the US Copyright Office, and if so, how to go about doing it. Help you in the event that someone is infringing on your copyright.